What is the meaning of color and its connection with your seven chakras? Learn about the science of color and delve into color psychology and meaning of each of the seven colors. A journey through the seven chakra colors is essentially a journey through the rainbow. 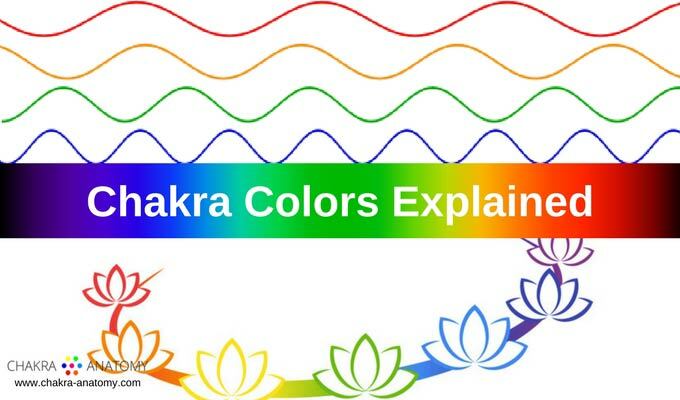 This is the most widely accepted color system for the chakras. In my experience, the colors are not stable and permanent as you would see colors in a picture. The colors are fluid, constantly changing just as your emotions change. The colors seen in your chakras can be muddy, faded with very little color present, or even too saturated - too bright. The color of a chakra indicates your current physical, emotional, and spiritual state. We all recognize the connection between color and emotion. It is reflected in our language and there is even a branch of psychology, called "color psychology", that deals specifically with color and its emotional impact. There is much you can learn about yourself by learning about color. Color provides you with a mirror of your emotions. What is your favourite color? Do you wear certain colors of the spectrum more often? Do you avoid certain colors? What do you feel in your body when you see red color? Or blue color? Color is a universal language - it is simple and yet very profound. Before we delve into exploration of color psychology and the meaning of chakra colors, let's explore the science of color. Red color has the longest wavelenght. At the other end of the spectrum is violet, with the smallest wavelenght. The visible light spectrum is part of the electromagnetic spectrum and its wavelengths range approximately from 380 - 740 nm. Color is a wave travelling through space. Depending on the wavelength, the space between the peaks - measured in nanometers nm, our eyes register different colors. 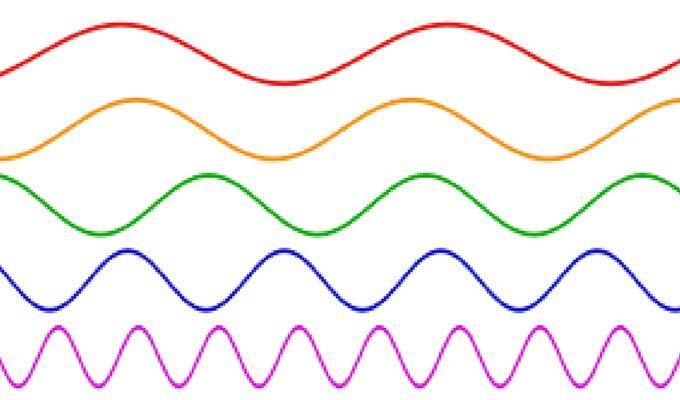 Sine Wave - is the measurement of energy, used to depict frequency, vibration, and waves. It is a waveform, a single frequency repeated indefinitely in time. How do we see or recognize color? Photons enter the retina where they are transformed into electrical impulses. These impulses reach the brain through electrochemical reactions in the nerve cells. The brain then transfers these reactions into the picture that we see projected outside of our bodies. The process of seeing and recognizing a color occurs within ourselves and is projected outwards. How does this relate to your seven chakras? Each of your chakras is vibrating at a particular frequency and responds to different vibrations (or wavelenghts) of light. As you may have already guessed, the root chakra is vibrating at a frequency within the 400-484 THz range, the sacral chakra within the 484-508 THz range, solar plexus chakra within the 508-586 THz range, etc. Within these frequencies and wavelengths, each color contains information on several different levels: physical, mental, emotional, and spiritual. 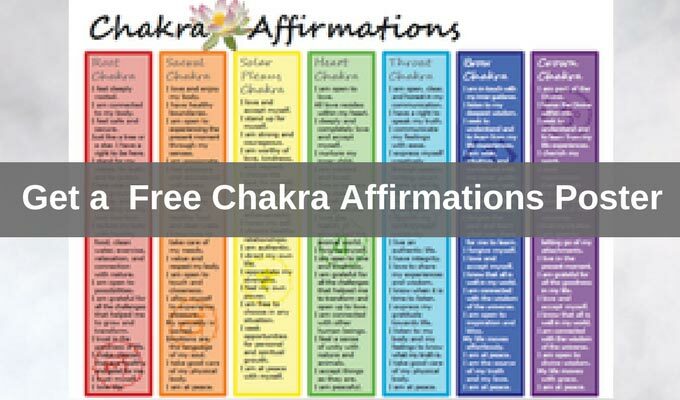 This information can be used in chakra balancing and chakra healing. There is no single color that has more value than the other. The color is simply what it is - an aspect of the visible light spectrum with its particular frequency. The first of the seven energy centers, Muladhara is also the most dense of them all. The main color of this chakra is red which is also the most dense color of all. Learn about the meaning of red and discover the less known second color found at the centre of muladhara. Yellow. 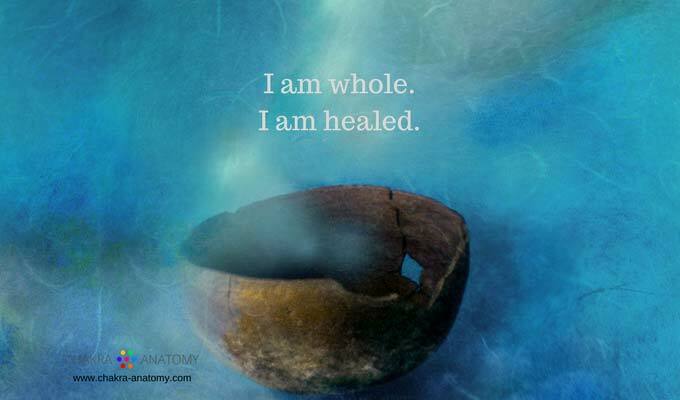 The centre of our being - the color of sunshine and the color of the third energy centre - the solar plexus chakra. The main energy of yellow is intellect. Do you like yellow color? Discover what yellow means and how it manifests in your subtle body, at the solar plexus chakra. Green is the main heart chakra color. It is the color of healing, balance, tranquility, and serenity. 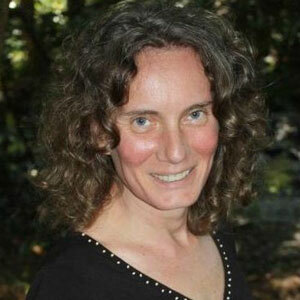 Green brings wholeness to our lives and it is the color most frequently found in nature. Explore the heart chakra color and discover its meaning. 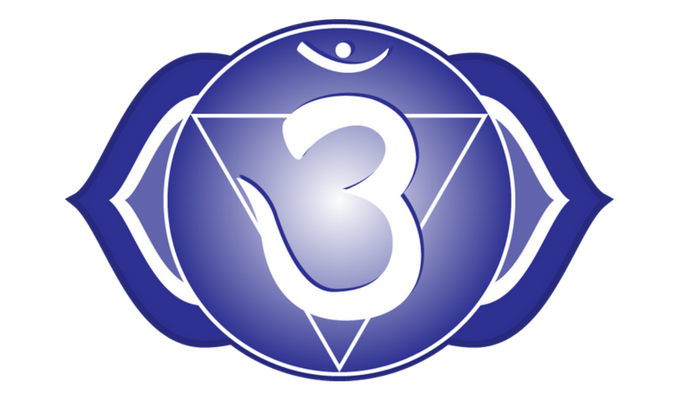 The throat chakra is the fifth chakra and its color is blue. It is one the three primary colors. The main energy of blue is communication and it is the color used to soothe the soul. Explore this Divine color in depth, learn what blue color of the throat chakra means and how it manifests on all levels of your being. Indigo is the color of the sixth energy centre - your third eye chakra. It is the color that opens the consciousness and brings awareness to higher planes and connects us with the spiritual world. Discover the hidden meanings of the third eye chakra indigo color. Violet is the color of the crown chakra and it is the color of cosmic awareness and cosmic consciousness. It is a unifying color, the color of oneness and spirituality. The energy of this color is very healing and can soothe away pain. 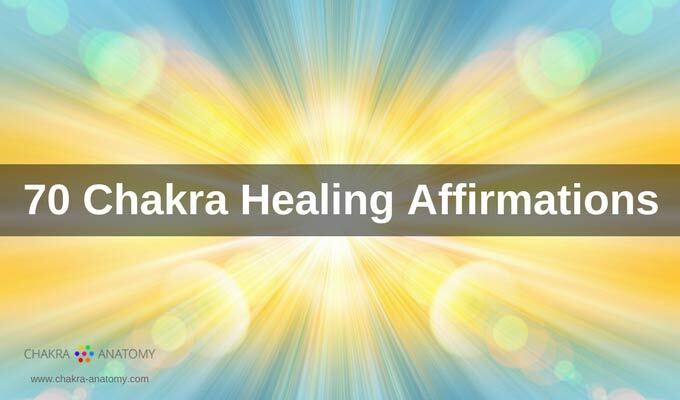 Learn more about this spiritual color and its manifestation at the crown chakra. 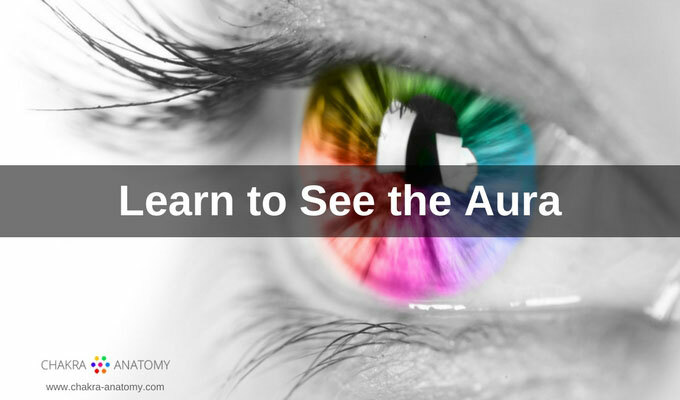 Learning to see auras is easy, understanding and interpreting what you see is a bit more complex. 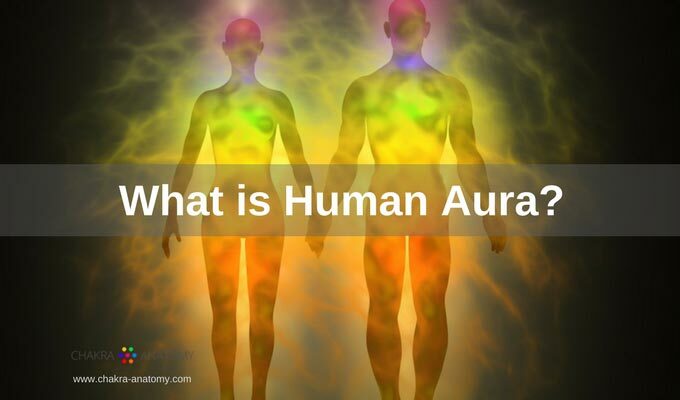 Learning what different colors of human aura mean is a first step in this understanding. 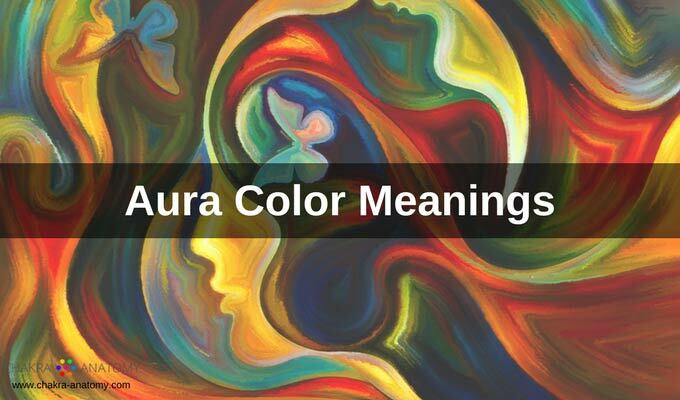 The colors of aura provide information about physical, emotional, and spiritual well-being. 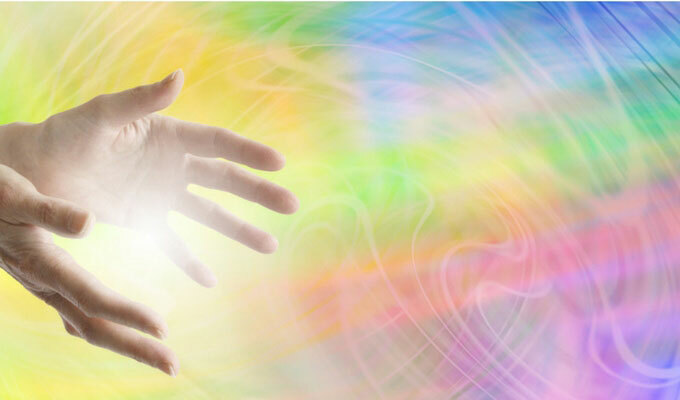 Taking care of the aura, your subtle energy body, is just as important as taking care of the physical body. Learn three simple techniques to cleanse your aura and to raise your vibration.